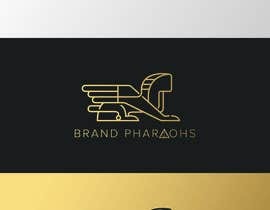 I need an illustration for a branding agency called “BRAND PHARAOHS”. I would like the illustration to contain a pharaonic element (from the era of the Egyptian Pharaohs)... with the name of the company, "BRAND PHARAOHS" as well... Please put "BRAND PHARAOHS" on one line instead of over two lines. Something like the "Sphinx, pyramids, pharaohs or something from the that era". I like the colours black and yellow/gold... but I’m open to suggestions. Maybe the "A" in "BRAND PHARAOHS" could be a pyramid and then a symbol above the name? Or one of the letters could have something pharaonic in them? Please keep it basic... It's for a Brand Agency and needs to be clean and classy. cool idea. But could you #increaseprize a little bit? Anyway thanks for inviting! DONE - made it $99 based on your suggestion mate. Thank you! I am gonna submit something cool for you. Hello everyone, I've made a few changes in the description which should help you understand the project a little further... I'm seeing a lot of people send entries that are just text based with NO pharaonic elements whatsoever. I HAVE ALSO INCREASED THE PRICE SIZE TO NEARLY DOUBLE THE AMOUNT = $99 AUD... You can all thank Ky L. for his suggestion!